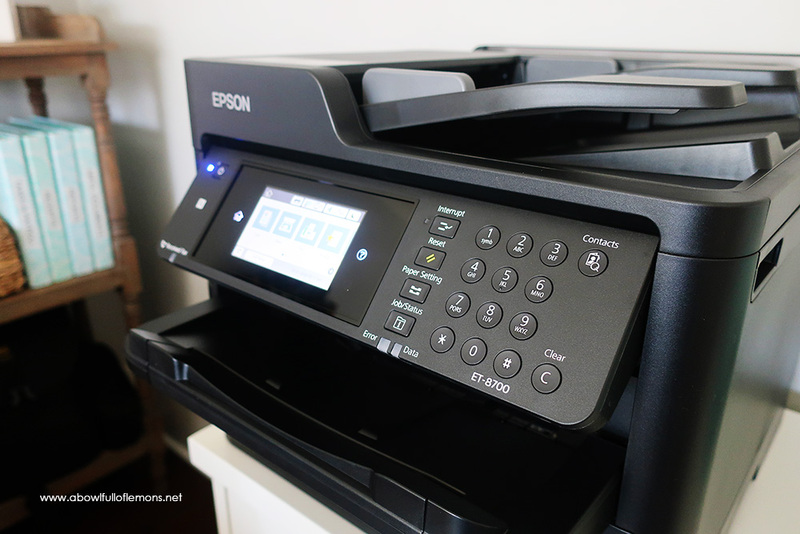 I was asked by Epson to review the brand new WorkForce® Pro ET-8700 EcoTank All-In-One printer! Say that 5 times. Even though I just purchased a new compact printer, I said yes. 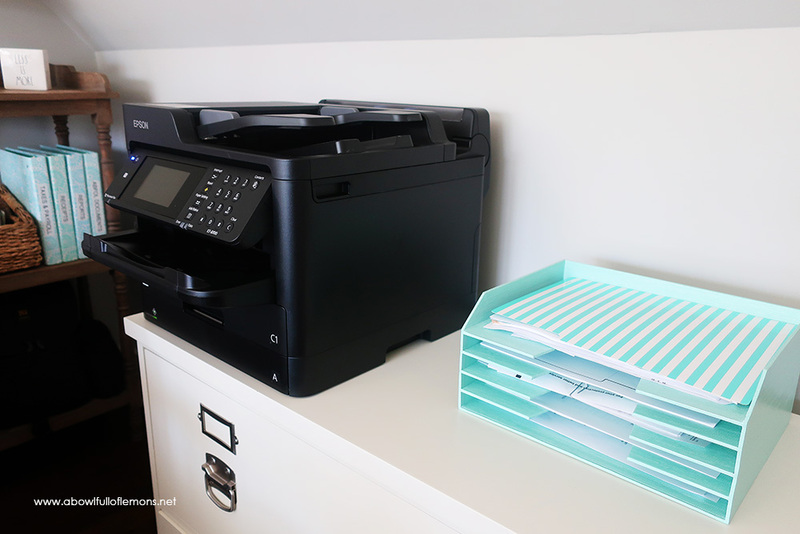 I am always looking for the “perfect” printer and after years of buying them, I think I finally found it! I will give you an overview then I will share my thoughts at the end of the post. The printer is not compact. 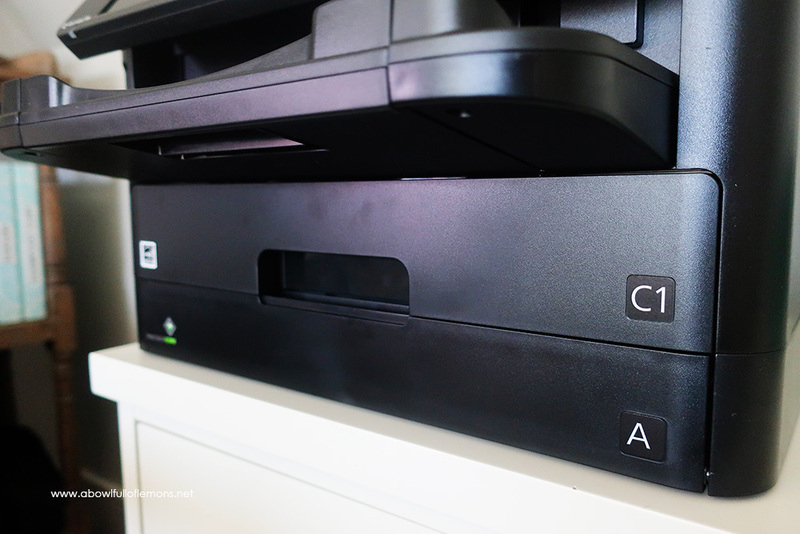 It’s a workhorse so it takes up more space than your typical printer. It’s measures 16x21x14″. This EcoTank model comes with cartridge-free printing. The box includes enough ink to print up to 16,000 black pages or 11,000 color pages. WOW! The ink comes in these packs. You will save up to 80% on ink vs. color laser. The ink pack system is easy-to-load. It has a large 4.3″ color touchscreen for easy navigation. It has ethernet connectivity plus wireless capabilities. 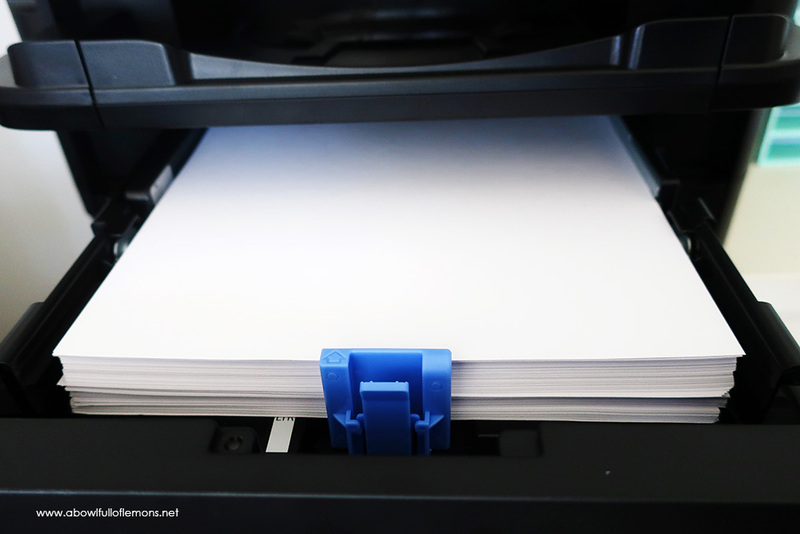 You can even print from an iPad, iPhone, Android tablets, and smartphones. 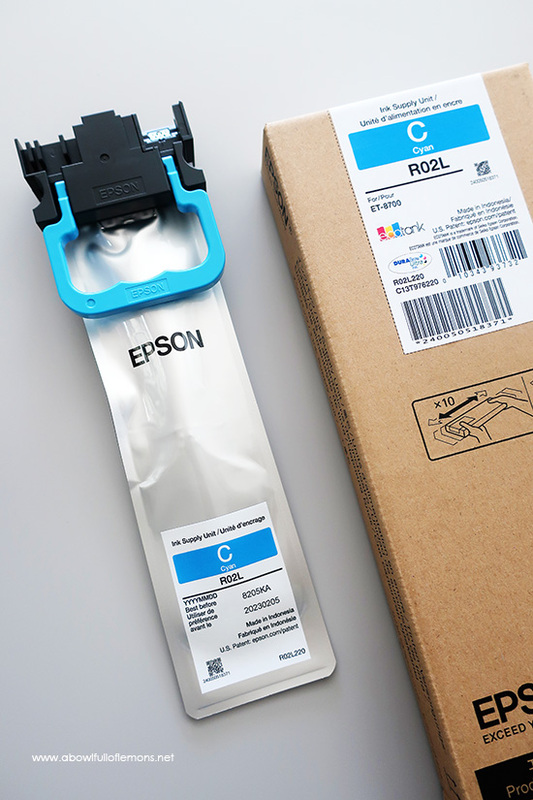 It’s formulated with fast-drying pigment ink designed for high-speed print jobs. As you can see from the paper I printed below, it delivers sharp text, bright colors, and print-shop quality results. Look at the amazing bold color? The printer is FAST! 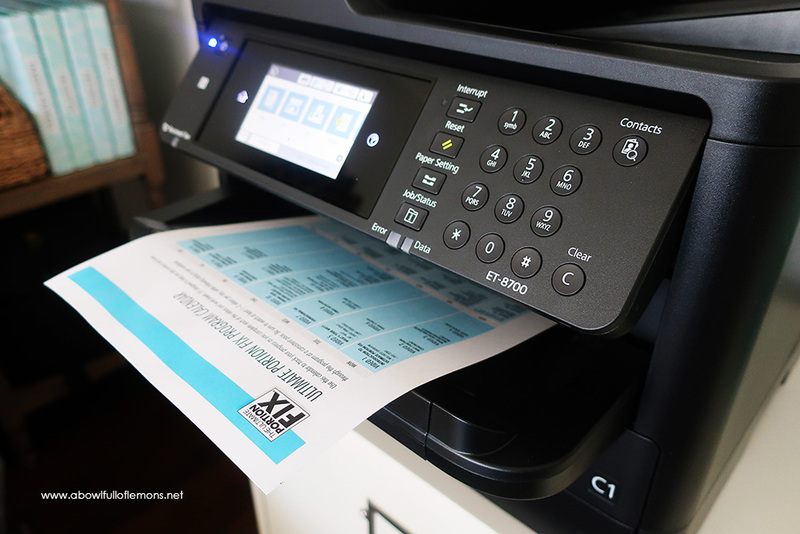 You can speed through projects at a 24 ISO ppm print speed for black & color. 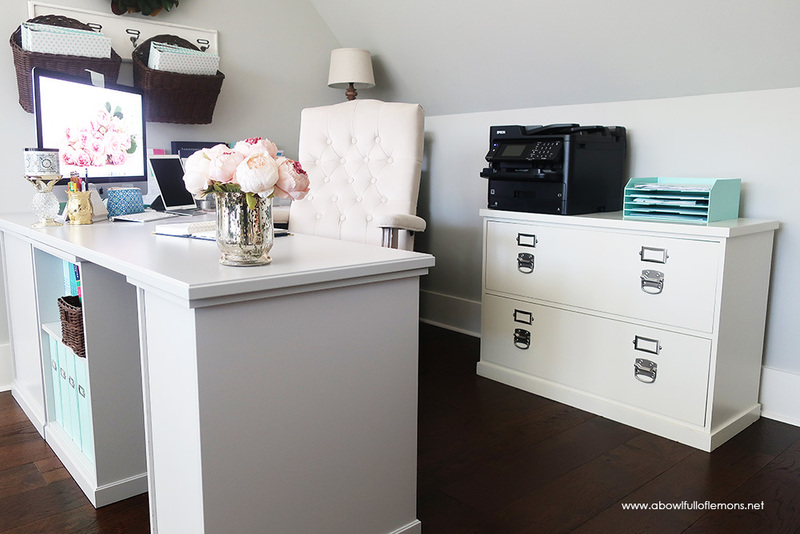 The paper tray capacity is 250 sheets plus an 80 sheet rear tray. There is also optional 500 sheet tray (sold separately). This will save you time and increase productivity. It’s super easy to set up. We set it up in less than 10 minutes. The printer comes with a 2 year warranty and the retail price is $999. Right now, it’s on sale at Epson.com for $899. You get what you pay for and I believe this printer is worth every penny. 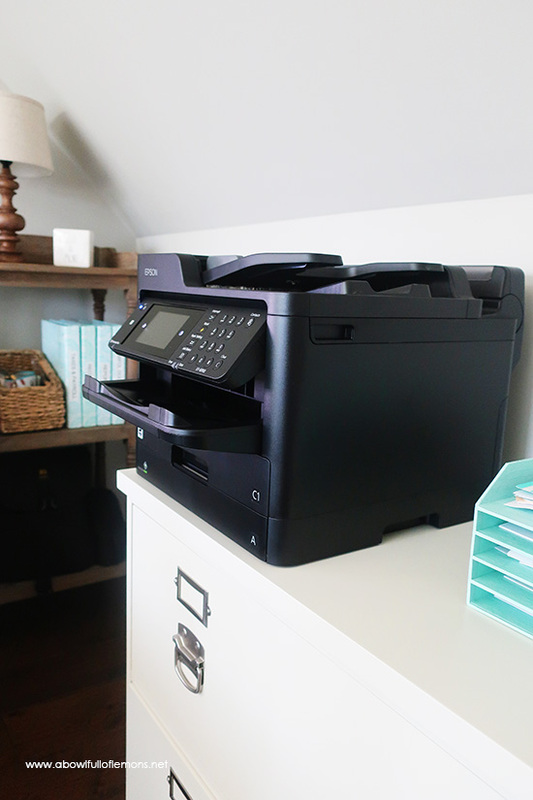 OUR THOUGHTS: Overall, we are very impressed with this printer. Like I’ve said before, we have gone through so many printers but they lacked quality. I could never find a printer that printed the true colors. This one does! This printer delivers top notch, sharp and bold, printing. The colors are vibrant and looks like it was printed at a professional print shop. I am IMPRESSED! I was also impressed with the speed of the printing. It’s FAST! 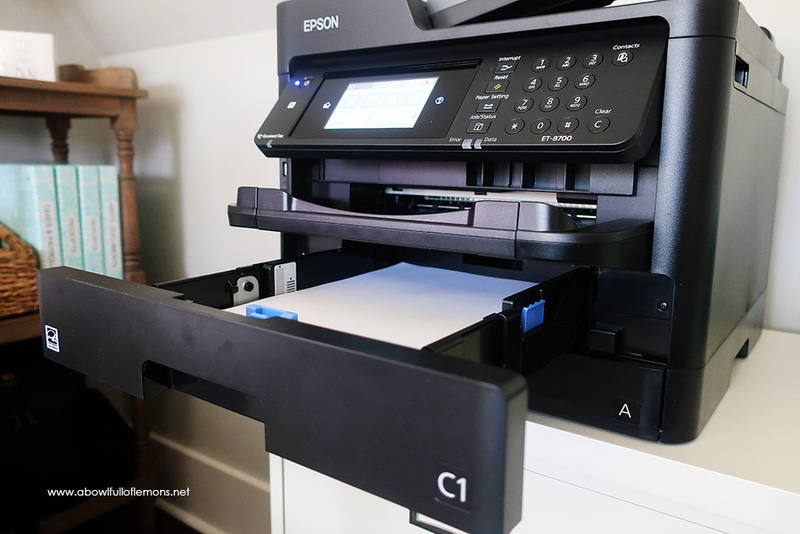 It’s easy to use, easy to navigate, and easy to load the ink. Hopefully this printer will stand the test of time and the ink will last as long as it states. Time will tell. I will update you soon! 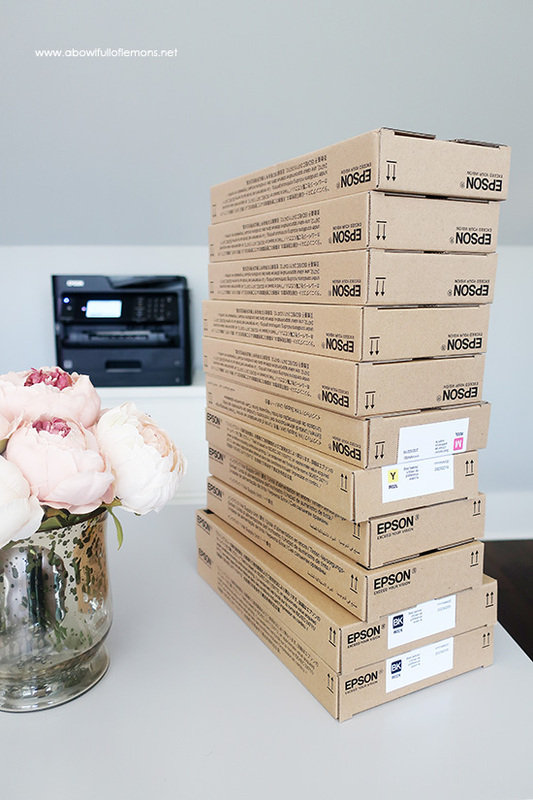 Disclaimer: This is a sponsored post by Epson®. All opinions are my own & I only recommend products or services I use personally and believe my readers will enjoy. I am disclosing this in accordance with the Federal Trade Commission’s 16 CFR, Part 255: “Guides Concerning the Use of Endorsements and Testimonials in Advertising. Please click here for full disclaimer.